The Fury Softball Organization was created in Temecula, CA to provide an opportunity for talented and motivated softball players an opportunity to train and compete in a competitive, Southern California Travel Softball program. We emphasize player development through individual skill development and teamwork. Our players will be better athletes and softball players after a season with us. We are not one of the oldest travel ball programs out there, but we are fast becoming known as an organization that develops young athletes to become better softball players. Our teams play a very busy and highly competitive schedule with competing at a National Event, as our season ending goal. Our Fury Team Coaches are always interested in finding the “Next” College softball prospect. If you are interested in attending, please click on "Join Fury" on the left side of this web page, then complete the online information sheet, and submit - it’s that easy! Want an Individual Try-Out / Workout - Call or send me a text message to arrange 909-262-8079 / Mark. Email: markg@furysoftball.net for more information. 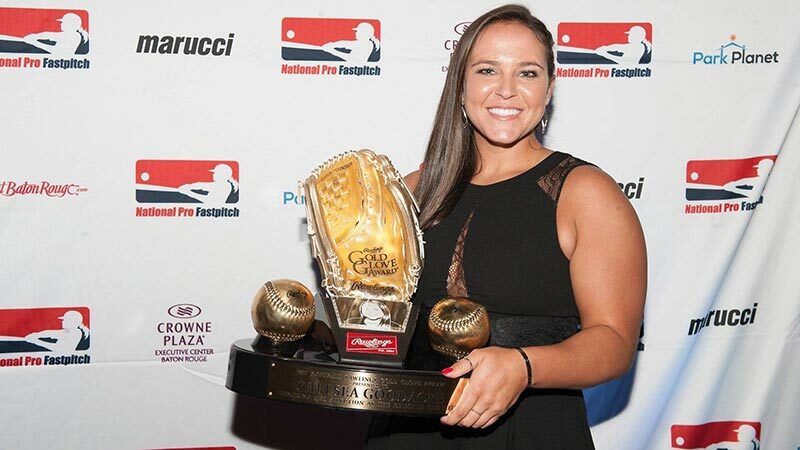 NPF Gold Glove winner Chelsea Goodacre was honored at the MLB Gold Glove Award Dinner in New York City. 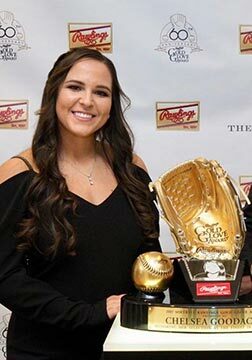 Honored at the MLB Gold Glove Award Dinner in New York City as the NPF Gold Glove winner. 6th in Arizona softball history to hit over 20 home runs in consecutive seasons. NFCA Second Team All-American, 3-time All Pac-12 First Team, NFCA Div I First Team All-Region West. 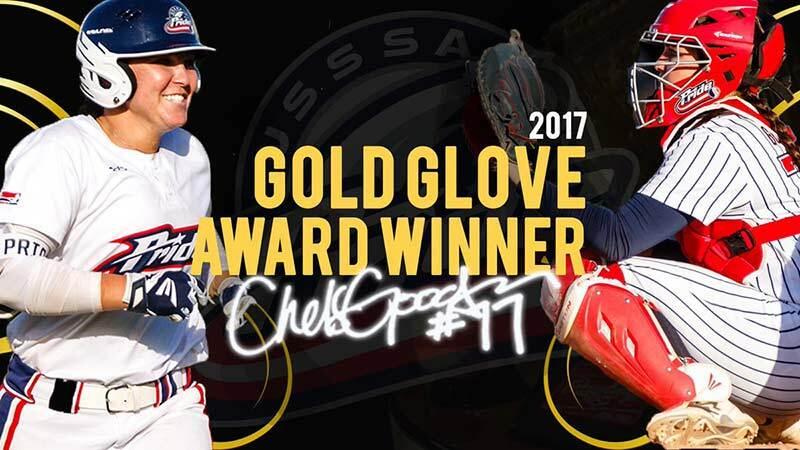 Former Wildcat All-American catcher and 2017 National Pro Fastpitch Gold Glove winner Chelsea Goodacre was honored at the Major League Baseball Gold Glove Award Dinner on Friday November 10, 2017 in New York City. Goodacre did not commit an error in 211 total chances (196 putouts and 16 assists) in 40 games this season while also throwing out 65% of potential base-stealers, the best mark in the league. At the Fury Softball Organization we are known for our dedication to the athletic and academic advancement of our female athletes. Fury Softball is a non-profit select travel softball organization based out of Murrieta, California playing ASA, USSSA, Triple Crown, PGF and other showcase tournaments in many different age divisions. We compete in some of the most prestigious tournaments around the country to showcase our high school athletes to college coaches to earn collegiate scholarships. "NO greater gift can one player give a teammate then selfless dedication of preparation for victory and support vital to team achievement, sacrificing personal glory & accolades to become champions and most importantly teammates for life!" P4L Fitness offers the highest quality of personal training services in the Temecula Valley! P4L Fitness boasts the most talented and experienced health/fitness trainers in the Valley! Our team of passionate trainers are excited about impacting lives and helping clients reach their goals! All of your training sessions will be fun, dynamic and results-driven. We combine resistance training, cardiovascular training, plyometrics, core strength, stability training and flexibility training into your workouts. Unlike the style of what your current workout routine may be, you will NEVER get bored with this style of fitness training. Leer Truck Accessory Center, Inc. The San Manuel Band of Serrano Mission Indians is a federally recognized American Indian tribe located near the city of Highland, Calif. The Serrano Indians are the indigenous people of the San Bernardino highlands, passes, valleys and mountains who share a common language and culture. The San Manuel reservation was established in 1891 and recognized as a sovereign nation with the right of self-government. Since time immemorial, the San Manuel tribal community has endured change and hardship. Amidst these challenges the tribe continued to maintain its unique form of governance. Like other governments it seeks to provide a better quality of life for its citizens by building infrastructure, maintaining civil services and promoting social, economic and cultural development. We are a full-service Insurance Agency committed to helping customers protect all their assets. We offer a wide range of Insurance products and services tailored to your individual and business needs. We are dedicated to developing lasting relationships with all our clients. We believe in helping you assess your Insurance goals and participate in the management of your policies. Ken and Laura "Dede" Powell started this opportunity in November of 2005. Recently Walter Powell, Ken's brother, came on board to help keep up with the demand. We started out with 4200 square feet and have now expanded to over 15,000 square feet. We carry a large selection of Desks, File Cabinets, Chairs, Conference and Reception room Furniture. V&T Toolng is a full service, complete manufacturing and precision manufacturing services, we also use the latest in FARO Laser technologies and Verisurf inspection software for complete surface and hard point inspection on all projects that require the latest technologies in precision measurment and verification.